Continuing through early March, the Chehalem Cultural Center will host an exhibit of mixed media and wood carvings by two local artists headlined "A Catalyst of Empathy." 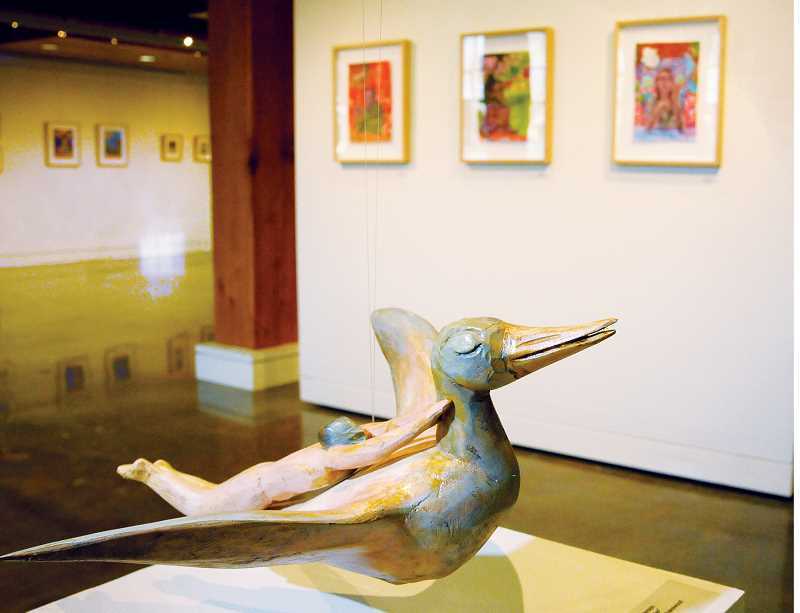 The exhibit, hosted in the Parrish Gallery, contains art by George Fox University art professor Tim Timmerman and carvings by Portland artist Stan Peterson. The show, which began Jan. 8, runs through March 2. There will also be an artist reception at the exhibit on Feb. 1. Timmerman, a professor at GFU since 2002, teaches students sculpture, mixed media, art history and contemporary art trends. He has been featured in more than 50 exhibits across the country. According to his artist statement on his website, Timmerman said creating art "is an adventure in sincerity; a reflection of the moment, a place to wrestle, and place to negotiate my faith. It embodies the nuts and bolts of the human conditions and intangible realities. My creations through analogy, character, symbol and story, face fears, spell out hopes, and dive into joy and sorrow." He also described his artwork as ranging from "humorous, somber, intriguing or puzzling." "The works I create demark and negotiate the odd configuration of what makes us innately human; those disparate events that shape use into who we are," he wrote. "Moreover, the artwork is about making the hard choice to continue to grow up, in the blessing and mess of it all." Peterson has been exhibiting his carved and painted figures since 1981 locally, and since then has been exhibited and collected nationally. He carves figures with hand tools and the only power tool he uses is a bandsaw. According to his artist statement, travel influenced his art and he's constantly looking for "moments of significance which tell a story." Peterson's statement said he has a fascination with birds and flight and enjoys carving small owls and pelicans, "a Carter bird with a single egg, and even a Mourning dove with nine cats on its back. Sometimes the carved birds have long legs and shoes for walking with their human counterparts." His work often features animals other than birds, such as dogs, giraffes, frogs, rabbits, fish and occasionally humans as well.